With West Ham suffering yet another defeat this weekend, Ciaran Kelly believes they desperately need the return of their target man. Ciaran Kelly believes that Andy Carroll’s switch to London will do him the world of good. Ciaran Kelly discusses West Ham’s play-off promotion back into the Premier League and what Sam Allardyce has brought to a once great ‘footballing side’. West Ham United are enjoying a new lease of life under Sam Allardyce and Ciaran Kelly looks at their recent progress. Scott Parker has been drawing a lot of praise for his recent Spurs performances and Ciaran Kelly looks at the midfielder’s career to date. 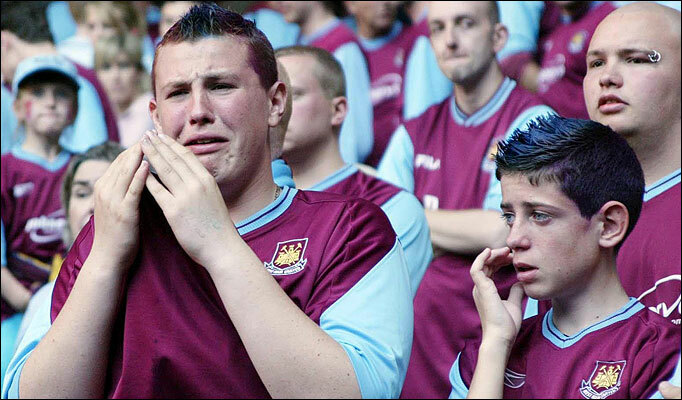 West Ham United – Where Do They Go From Here? After their relegation to the Championship, Ciaran Kelly discusses the situation at West Ham under the control of Gold and Sullivan, and what could be done to regain Premier League status once again.